Industry-recognised IT distributor, Ci Distribution, announces an exciting new partnership with renowned brand, Transcend. Ci Distribution is pleased to announce a distribution partnership with Transcend – the leading global brand of digital storage, multimedia and industrial products. The relationship signifies the start of a host of new partnerships to expand the promising rugged portfolio that Ci Distribution currently supplies. The newly-established direct connection between Ci Distribution and Transcend allows the companies to join forces in the promotion of their high-quality products. 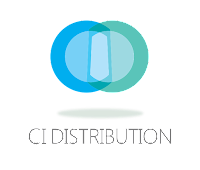 Ci Distribution and Transcend aim to develop their mutual relationship, which is built on trust, excellent communication, and a willingness to expand market reach within the re-seller community. Ci Distribution’s well-rounded experience in the IT Industry, coupled with Transcend’s strong presence in the market, render this partnership a promising one for both parties involved, as well as for their respective customers.